Dirigo Music Academy offers private as well as group music classes by experienced performing artists in the field. Dirigo Music Academy focuses on finding each student's natural strengths and developing those, while at the same time giving each student the skill sets to become an advanced well rounded musician. Our faculty is composed of top professionals in the field. All of our instructors have a master's degree and are active and experienced performers in the New York City area and abroad. Some of our students have been accepted into renown summer music camps like Interlochen Summer Music Camp, as well as renown performing arts high schools like LaGuardia High School of Music & Art and Performing Arts. 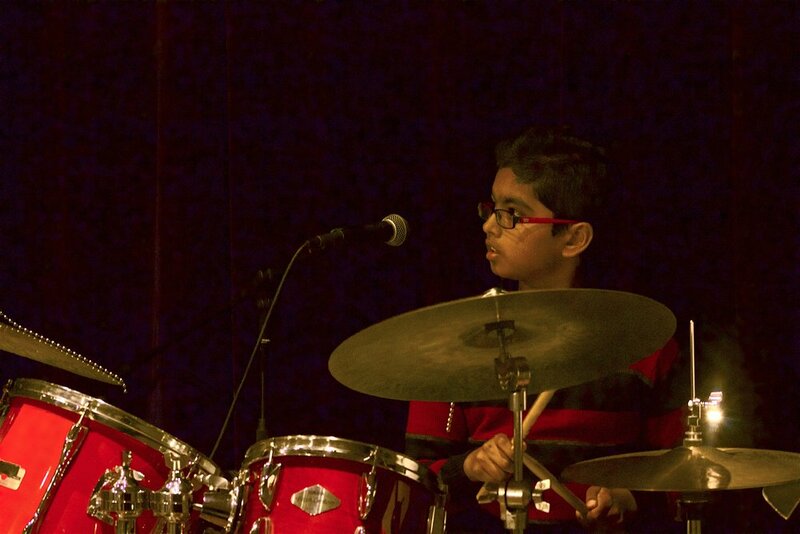 INSTRUMENTS: Drums, Guitar, Bass, DJ Classes, Music Production, Hand Drums, Tabla, Beginner Piano. Noel Brennan is a musician performing and teaching in New York City. He has been fortunate to perform with jazz legends such as John Scofield, Pascal Niggenkemper, Andy Milne, Dave Pietro, Dave Douglas and the list continues. These shows took place at many first rate jazz clubs including: Blue Note, The Jazz Gallery, The Stone, The Tea Lounge, Tomi Jazz, Cornelia St. Cafe, The Falcon, Twins Jazz, Trumpets Jazz and many others. While receiving his Masters degree at NYU, he was also employed as an adjunct music faculty member. In 2012 he was selected as one of Half Note Records musicians in the "Promising Artist Series." The award included responsibilities such as giving concerts and leading clinics around the globe. Brennan's music education began at a young age with his parents. His father, and amateur musician and mother who taught music at a public school for over 30 years. His formal education began with Les Harris Jr., a long time student of the legendary educator/player Alan Dawson. Noel has also studied with drumming greats Jeff Ballard, Billy Drummond, Ari Hoenig and Tony Moreno. In 2011, Brennan was accepted as a disciple of Tabla maestro Anindo Chatterjee (performed with Ravi Shankar, George Harrison). This has been an amazing opportunity. Chatterjee spends half the year residing and teaching in NYC. In the winter of 2013, Brennan spent several months in India living the music. This included daily talim (lessons) from Gurujee as well as many all night concerts and sessions with local musicians. On another primary interest, Noel has been listening to and studying electronic music. Turntablism was a large influence. Noel has been working with turntables, samplers as well as Ableton for years. It has been Noel's great inspiration to follow in the footsteps of DJs including DJ Craze, DJ Shadow, Mix Master Mike and Q-bert. Originally from Mexico, Patricia Brennan has toured all over the world. These tours included performances with renowned symphony orchestras and ensembles such as the Philadelphia Orchestra and Youth Orchestra of the Americas . She has also received numerous awards that earned her national and international recognition. Patricia’s constant search for freedom in her musical expression led her to find her voice through the vibraphone and other mallet percussion in improvisational music and composition. Patricia performs with Grammy nominated group The John Hollenbeck Large Ensemble along with musicians such as saxophonist Tony Malaby and vocalist Theo Bleckmann. Patricia is also a member of bassist Michael Formanek's Ensemble Kolossus, a large jazz ensemble featuring brilliant improvisers and instrumentalists. She is also part of a couple projects led by renown pianist Vijay Iyer, including his large ensemble Open City as well as BlindSpot, a small ensemble project that focuses its improvisations on the words of writer Teju Cole. Patricia has performed in venues and festivals such as Newport Jazz Festival, Carnegie Hall, and The Jazz Standard. Patricia has also appeared on National Television and Public Radio. Recent projects include an ECM recording with Ensemble Kolossus (which made it to the Grammy artist pool) as well as a recording with pianist Matt Mitchell under the Pi Recordings Label. Patricia is also scheduled to record with the John Hollenbeck Large Ensemble in June of 2017. As an educator, Patricia has been teaching music in several countries for over 15 years. The ages of her students have ranged from 10 months to adults. While in Mexico, at the age of 16, she worked at a private arts school, where some of her duties included coordinating the percussion studio and school choir, teach private and group lessons as well as assisting as a co-teacher for general music classes for students from 4 years old to adults. While in Philadelphia, PA, she worked at The Baldwin School in Bryn Mawr, PA, where some of her duties included coordinating the percussion studio, teaching private and group lessons and organizing student performances for grades 5-12. Patricia also worked as a Spanish-Music instructor at I’m Bilingual! in New York City, where she taught a general music appreciation class in Spanish to children from 0-5 years old. Patricia also was a Teaching Artist at the The Leadership Program, where she dedicated herself to enrich the lives of children from the New York City public school system through the art of music. Patricia also has been a private music instructor and has been faculty member in several music camps and workshops as well as given Master Classes in the US, Mexico, Brazil, Dominican Republic and Venezuela, among other countries. Patricia holds a Bachelor of Music from the prestigious Curtis Institute of Music and a Master of Music from New York University specializing in Jazz Performance and Composition. Preparation for Royal Conservatory Music Development Program Exam and NYSSMA evaluation festivals available! Simply put, Noel is a terrific teacher! I had the itch to pick up the guitar at 39 years old, and wanted to work with someone who had a laid back approach while still having the chops and the knowledge to offer some challenges. I was not disappointed! Noel has an extremely diverse background in much that goes well beyond the guitar - He's an awesome drummer as well. This made the lessons even more interesting since he could offer perspective from the drummer's point of view, stressing how important rhythm is to becoming a solid guitarist. On top of everything else, one of the things I like the most about taking lessons with Noel is that sitting down with him is like sitting in on a jam session - a pretty cool feeling for someone who's somewhat new to music, but has always wanted to learn. My teacher is amazing. A master professional in his musical field. Noel teaches like he's done it for decades, even though so young. I would dare to say he can teach with his eyes close. I love all his teaching techniques, from theory to scale, to practicing the Hanon Studies, to ear training and on. I like how he plays along with me while teaching me a new musical score. He completely dedicated to teaching his student and making sure his pupil is satisfied with his performance. He'll even help you with preparing you for an recital or musical event. He knows how. I highly recommend for teaching any pupil from age 3 to 92. He'll ask me what I want to do next, and then we look for scores that I can learn according to my level.. He's attention to your needs as a student and works around it. I always look forward to going to my next lesson and see how I improved and what's new score he's prepare for me to learn. I like how Patricia teaches. She is very friendly. I really connected with her. Recommend! Patricia is an AMAZING teacher. Personality: She is very welcoming, warm, funny and just a positive person to be around which bodes very well when it comes to learning and stepping outside of your comfort zone. Knowledge: Just by looking at her credentials you know that she has a wealth of knowledge when it comes to music. However, her greatest gift is being able to relay all of that information to someone who may not have a very strong musical background. She is also very adept at making connections making the learning process fun and understandable. Lessons: I have been taking lessons with Patricia for months now for voice. The greatest part of the lessons are that she does not only focus on improving your voice on a technical level. She helps with mental preparation, ear training, music theory and great deal of other things which helps students to become more well rounded. I believe this also helps students to grow in their area of study much faster. Misc: Patricia greatly encourages her students to perform. 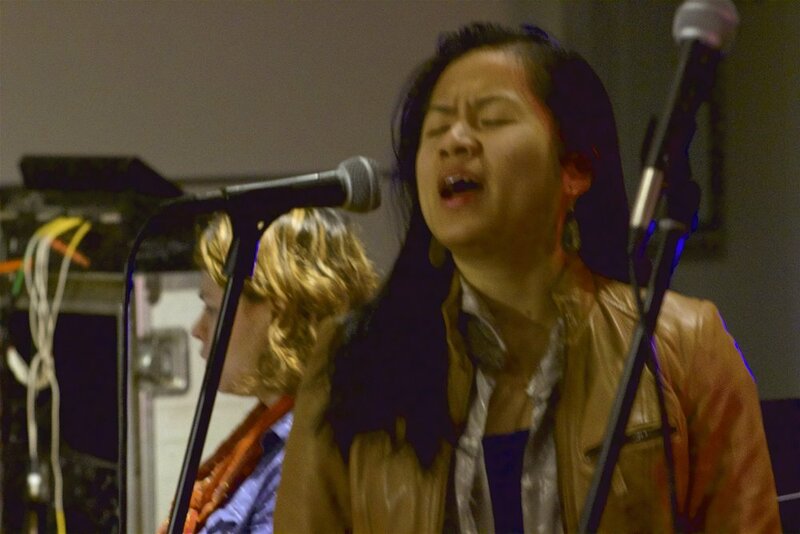 If you are not comfortable going to an open mic, Patricia hosts a performance event for her students. This provides a safe and secure environment for students to express themselves an apply what they have learned in lessons. I recently performed and while nervous the mental preparation that I described above helped me to "put on a show". I will continue taking lessons with Patricia and I am grateful for everything I have learned and experience in my time.